- How awesome it is to think that the Lord is at work within each one of us. 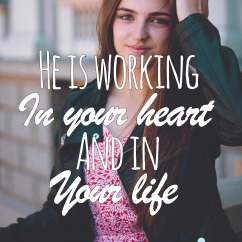 - Right now, He is working in your heart and in your life. - We should embrace this work that He is doing in our lives. - The end result will be living lives that honour and please Him in every way. Prayer: Lord, I embrace Your workings in my life today. I give You the ‘right of way’ to adjust my desires in line with Your plans and to give me the power I need to do what pleases You. Amen. 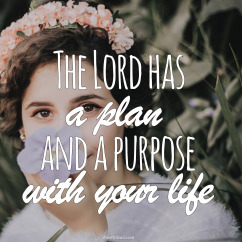 - The Lord has a plan and a purpose with your life. - His desire is that you would end up doing His will. - In order to achieve this, He undertakes to equip, prepare and provide what you need. - He will supply all you need to do what He has destined you for. Prayer: Lord, thank You for the destiny and purpose that You have placed on my life. I receive all I need to be able to do what pleases and honours You. Amen. - Each day we have many opportunities to be used by the Lord and to be a blessing. - Sometimes we are so consumed that we miss the opportunity to be a blessing. 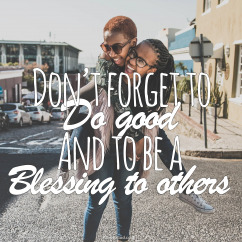 - Don’t forget to do good and to be a blessing to others. - When we have this attitude, the Lord can use us, and it pleases Him. Prayer: Lord, may my life be an instrument in Your hands, to reach out and touch the lives of others with Your love and kindness. Help me not to miss one opportunity to be a blessing and to please You in the way I live my life. Amen. 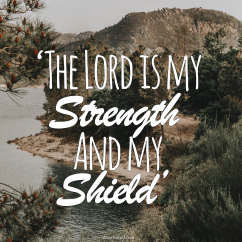 - Lord, You are my shield and my strength. - I will look to no other, but I will keep my eyes on You. - You will step in and help me, because You love and care for me. - My heart is trusting and resting in You, and therefore I can have joy! Prayer: Lord, once again today, I place my trust in You and in You alone. 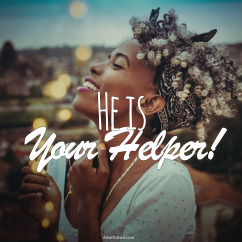 Be my helper, be my shield and be my strength, today and every day. Amen. - Thankfulness is a characteristic of a true Christian. - Our hearts should be filled with thankfulness towards the Lord and all He has done. - Thankfulness is also one of the daily choices that we need to make. - Make the right choice and choose to be thankful, even for the small things. Prayer: Lord, thank You for Your great kindness and love towards me. I want to be a thankful person for the things I have to celebrate and be thankful for. Cause me to enjoy and be thankful for the little blessings along the road of life. Amen. - We can choose to moan about everything or praise the Lord in all things. - From our mouths should flow a constant stream of praise. - But keep on confessing His Name and bringing Him praise. Prayer: Lord, I choose, regardless of my circumstances, to praise You and lift Your Name up high. May my mouth and my lips always bring praise and honour to You. Amen. - You are not home yet; your ultimate home is something eternal. - We live on earth and we think that things are permanent. - But we live in a world where everything can change at any moment. - It is for this reason that we should remind ourselves of what is eternal and enduring. Prayer: Lord, thank You that in the end You remain my eternal and everlasting Father. 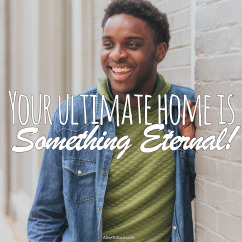 Help me in the temporariness of life to always remember that my ultimate destination is to live in Your house forever. Amen. - Do you realise that as His child you can live with confidence? 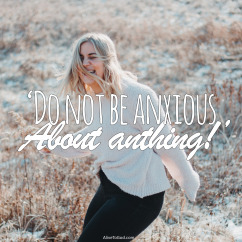 - You don’t need to be rattled by what is going on around you. - You can stand secure and step forward with confidence because He is your Helper. - Don’t give in to a mistaken tone of distrust, but believe and trust Him. Prayer: Lord, I declare that my confidence is in You. I will trust and not be afraid. Help me to live each day of my life with this assurance in my heart. Amen. - Just as the Lord was aware of Martha’s condition, so He knows your situation. - He knows your every anxious thought and your every troubling concern. - His desire is that we would live free from this burden and weight. Prayer: Lord, I choose to live a different life. May I live in the security of Your love and provision and may I be free from every form of anxiety and distress. Amen.